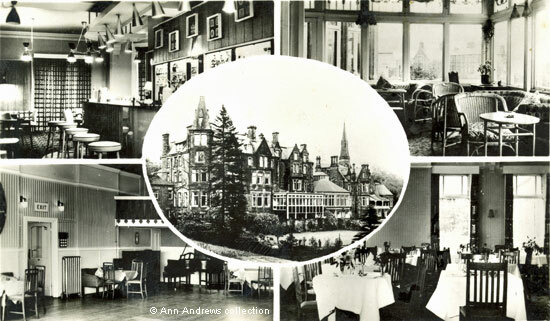 At the end of the Second World War Matlock learned that Rockside Hydro was to be converted into a training college for student teachers, leaving only two large hydros in the town. 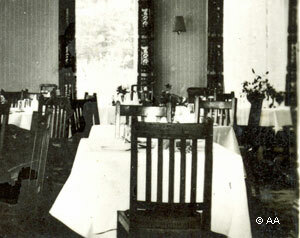 Smedley's was to be de-requisitioned in January 1946 and would re-open in the Spring of that year. The other remaining hydro was Lilybank. 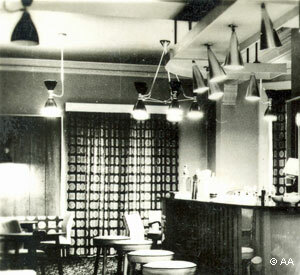 John Kay was still a director and in 1949 Stanley Connor and his wife took over, with John as as deputy manager of the hydro until Mr. Kay died, renaming it as Lilybank Hotel. Whilst the Connors were in charge Deborah, the late Dowager Duchess of Devonshire, opened a Fete in the grounds on one occasion. Famous football teams also used stay at Lilybank when they were playing against Derby County. The visiting teams included Preston North End, with the football legend Tom Finney who has recently died (2014), and York City. The Connors left Lilybank in 1956 and the business continued for a few more years but in 1962 the hydro/hotel closed and in early 1963 the Lilybank Hydro Company was voluntarily wound up, following the appointment of a Liquidator at an Extraordinary Meeting of the Company's Members in Manchester. The bar (enlargement of above card). links after the hydro closed. Advertisement from the early 1950s, when Stanley J. Connor was the Manager. 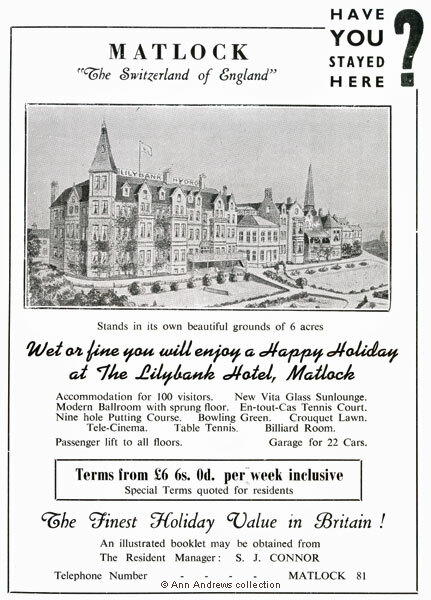 Note that Lilybank was then described as being an Hotel. Hydro baths were no longer advertised. 1. "Lilybank Hydro Matlock, Multi view". Viewcard Issuing Co. Ltd., Manchester. Not posted. "Derbyshire Times and Chesterfield Herald", Friday 21 December 1945. With thanks to Deirdre Connor. Stanley Joseph John Connor was one of the executors of Mr. Kay's Will. Mr. Connor died in Oxfordshire in September 1978. "The London Gazette". 15 Jan 1963, appointment of Liquidator. 15 Feb 1963, Extraordinary Meeting of the Members of the Company. Information from the late Ken Smith.